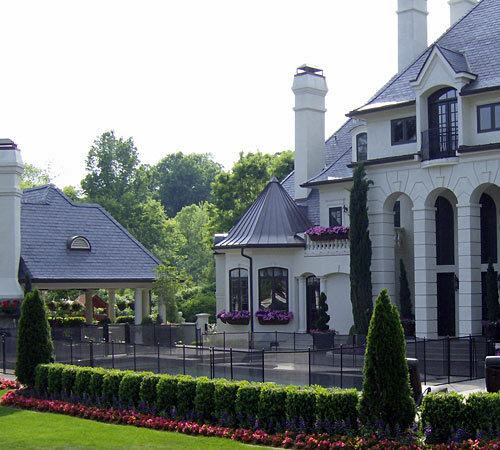 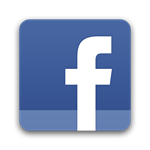 Is your home up to the challenge? Pool Fencing is an important component of drowning prevention as recommended by the Consumer Product Safety Commission and The American Academy Of Pediatrics. 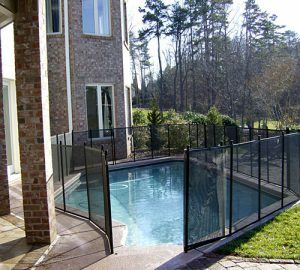 Black fence with self closing gates in concrete deck. 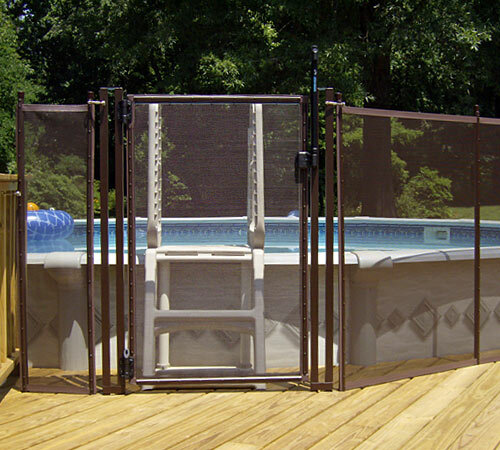 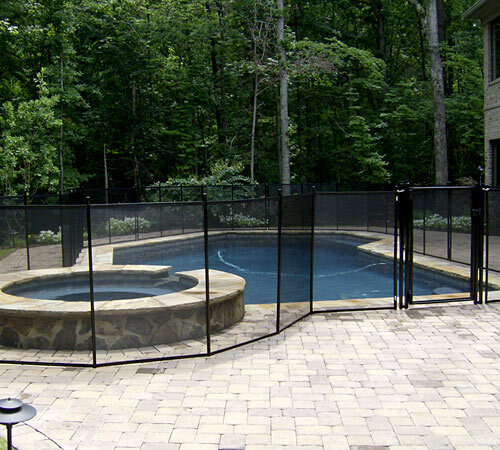 Mesh Pool Fence has a lifetime warranty. 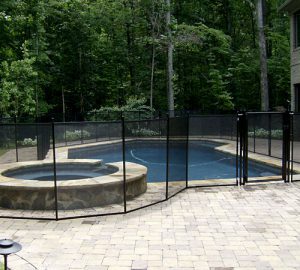 Black fence with self closing gate in paver deck. Brown fence with self closing gate in wood deck. 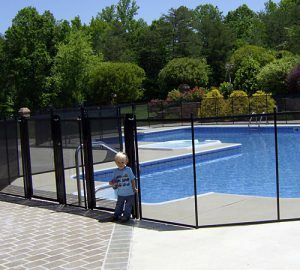 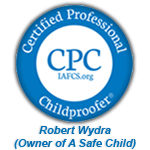 At A Safe Child, we believe that a swimming pool fence should create a safe barrier between your house and your pool, hot tub or pond while still allowing for a clear view.